Two attorneys with Patterson Belknap go in depth to sort out the divided ruling from the Second Circuit affirming the insider trading conviction of a fund manager who worked for an SAC Capital Advisors LP affiliate. The authors examine liability before and after various rulings from the appeals court and U.S. Supreme Court, and discuss the implications from the decision. A divided Second Circuit panel Aug. 23 upheld the insider trading conviction of former SAC Capital portfolio manager Mathew Martoma. Confronting its precedent in United States v. Newman, 773 F.3d 438 (2d Cir. 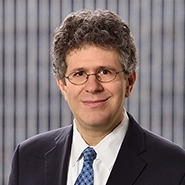 2014), for the first time since the U.S. Supreme Court struck down part of the Newman tippee liability standard in December, see Salman v. United States, 137 S. Ct. 420 (2016), the Second Circuit ruled that the “meaningfully close personal relationship” requirement of Newman is no longer good law. See United States v. Martoma, 14-3599 (2d Cir. Aug. 23, 2017). To continue reading Harry Sandick and Kathryn Austin's article from Bloomberg BNA’s White Collar Crime Report, please click here.